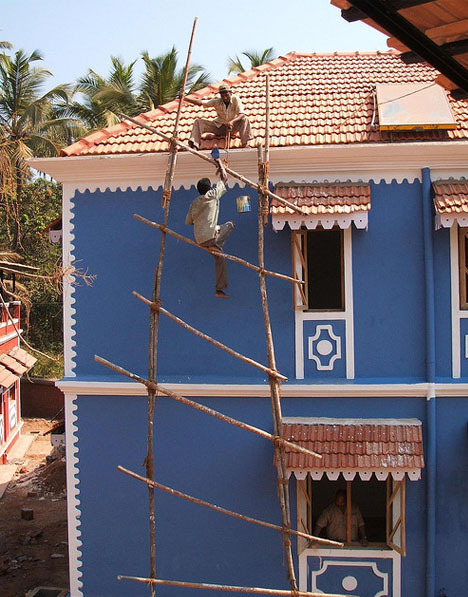 Shaun Usher (formerly of build-environment blog Deputy-Dog) is at it again, finding rare beauty in the most unusual places – in this case, through an incredible diverse set of temporary, building-trade support structures. 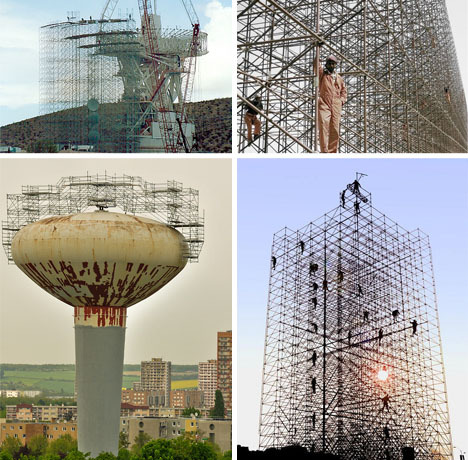 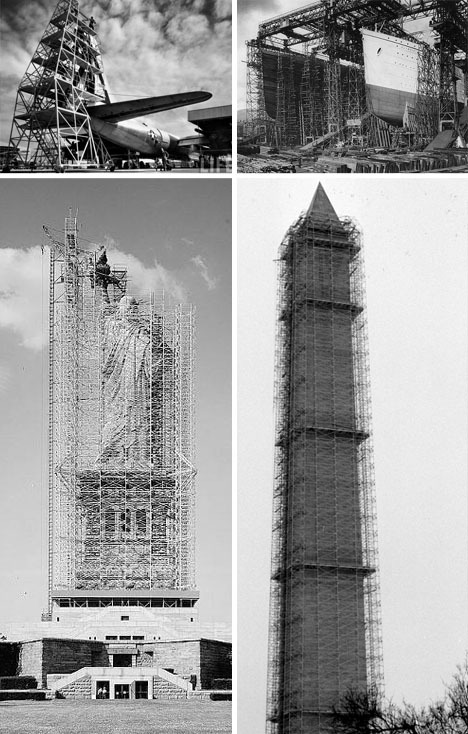 Though the work covered on Scaffoldage is contemporary, scaffolding itself dates back beyond recorded history, likely used in as-yet-mysterious projects ranging from the great pyramids of Egypt to Stonehenge in the United Kingdom and more. 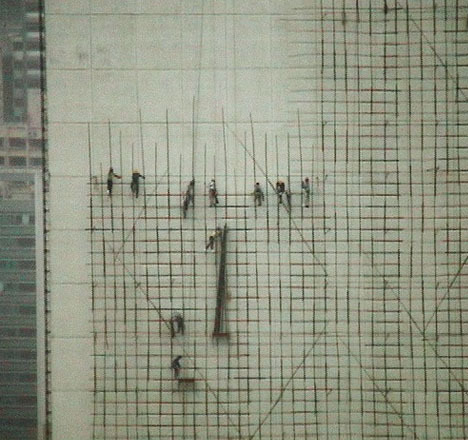 From airplanes and cruise ships to monuments and skyscrapers, we rarely see the interstitial phase in which they are shaped and informed by a vast network of criss-crossed horizontal and vertical lines, essential to enabling their existence in the first place. 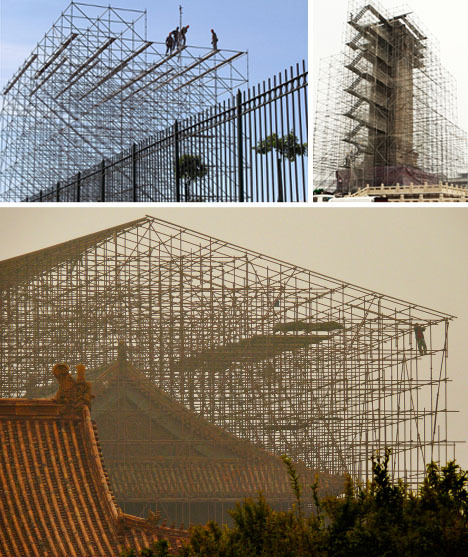 Though widely used today, everything from materials (bamboo and plywood to aluminum and steel) to construction methods (lashed, stacked, overlapped and more) varies from one regional context to the next. 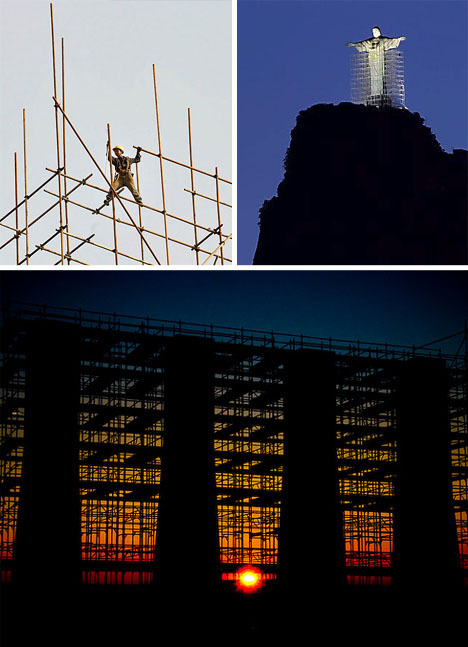 For better or worse, safety concerns are likewise diverse, ranging from countries that require always-on harnesses to free-climbing daredevils in less-controlled work environments. 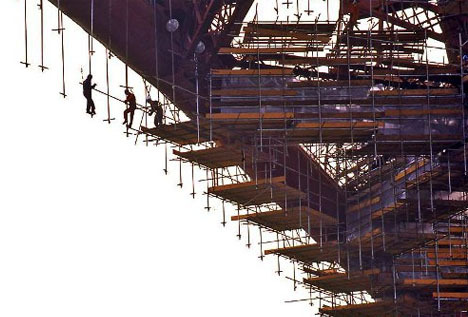 For more of these dizzying delights, visit Scaffoldage.